Lightweight, you can load different sensitivities by clicking the button beneath the scroll wheel. First time using or purchasing this mouse and I'm honestly a big fan. It doesn't have quite the feel or functionality (with extra buttons) of its big brother the M65 Pro but for most users and a lower price tag ($30), I like it a lot and would purchase it again. 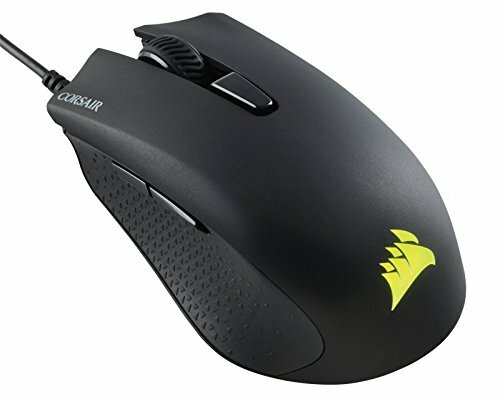 Corsair Harpoon RGB Wired Optical Mouse Works well, Has a loud tactile click on the buttons. Glows a static red by default, and that is okay by me because Linux software support to control the RGB on this is probably a pain also..
Corsair Harpoon RGB Wired mouse does what it should. It is a nice FPS style mouse. Defaults to just a straight solid red color for the glow and that is less annoying that the Rainbow cycling default that some devices do IMHO. 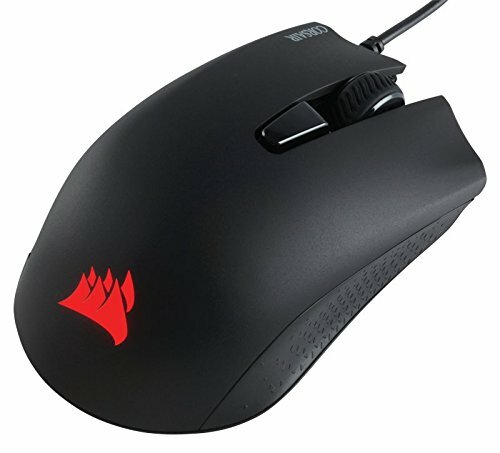 Great mouse, several DPI options. Kinda small for a mouse, I don't have massive hands, but this mouse is still pretty small for my preference. Regardless, amazing mouse for $30. For £25 this is a great mouse and has subtle lighting. Clicks are audible, and it has 2 extra buttons you van program to do anything with. Customizable dpi, customizable buttons, and customizable lights. All this on a budget gaming mouse. It is amazing. 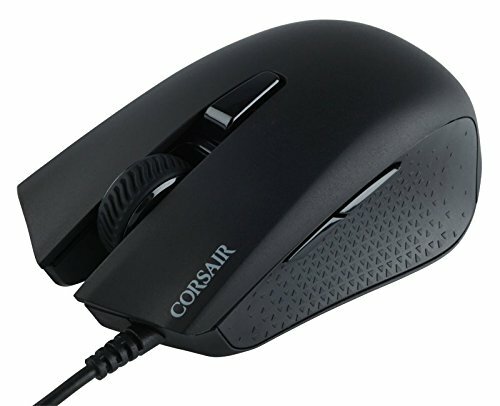 Great mouse and lightweight haven't had any problems with it so far. I wish I did not have to load the driver/software to turn off the RGB light. Wonderful entry-level mouse by Corsair. I have no complaints at the price points.